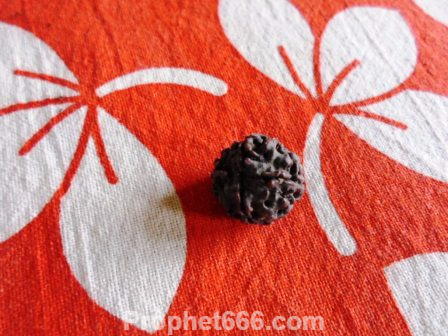 In this post, I have a described a special Rudraksha Beads healing therapy, which is practiced in some quarters of India in order to heal and treat infected wounds. In the context of this post, the term-infected wound includes all those wounds, which are infected by maggots and worms, fungus and bacteria, burn wounds, post surgical wounds, wounds from insect bites and wounds, which are rotting due to these infections. Such infected wounds emit an extremely foul odor and the patient finds it extremely difficult to move around and mix freely with other persons, including his friends and family members. To practise this Rudraksha Wound Healing Therapy, the practitioner has to procure the commonly available ingredients listed below and then prepare a paste or ointment, which should be applied over the rotting or infected wound. How to prepare the Wound Healing Paste- The Jeshthamadh and the Green Cardamoms have to be taken in equal quantity [in weight] to that of the Four Six Faced Rudraksha and grounded to prepare a fine powder. This Powder should be soaked in a little amount of water to so as to prepare a thick paste. The paste should then be mixed with the Cow Ghee and applied all over the infected or rotting wounds. Note- This Rudraksha Healing Therapy to treat infected wounds has been described in this article for educational purposes only and not as a replacement for any established medical treatment. Kindly consult your doctor before attempting this traditional Indian healing remedy.